Indian shooter Heena Sidhu won a gold medal in 25m rapid fire pistol event on the 6th day of the Commonwealth Games. However, that was the only moment of success for the Indian shooters as Chain Singh, Olympic medallist Gagan Narang, and Annu Singh disappointed and none of them managed to win a medal. Much was expected from Narang, who is an eight-time CWG gold medallist, but he finished in the seventh position while Chain Singh ended at the 4th position after a promising start. Abhinav Bindra, who knows a thing or two about the big stage, feels that the pressure of expectation is different and it makes it tougher in shooting. “It makes it harder when you know that you are expected to win a medal at the Commonwealth Games. It is even more mentally taxing when the expectations are from within yourself. That makes it much tougher. 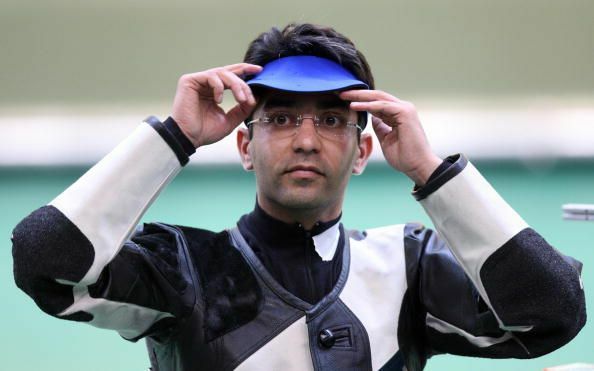 Specifically in shooting, which is such an internal sport,” Bindra was quoted saying by ESPN. Ravi Kumar, who won the bronze a couple of days back, came back from the brink of elimination. He had also secured a bronze medal at the World Championship one month back. “You wouldn't be talking about him (Ravi Kumar) had he missed a medal at the World Championships. The expectations themselves are distractions. There is bound to be more interest in the Commonwealth Games than at a World Championships,” the 35-year-old said, speaking about Ravi Kumar. The atmosphere and vibe in the game shooting are totally different when compared to other sports. “The atmosphere is different. Village life needs adjusting to. You aren't staying in a hotel where you come and shoot and go back. This isn't like a normal competition. These distractions are challenging particularly in shooting, which is an internally determined sport. You have to try to get the mind and body working together because this sport is all about feeling and balance,” the Olympic gold-medallist added. The format of shooting can be tough on the players as players face the risk of elimination after every round. “This is difficult. When you know you can be eliminated it takes a lot of energy to overcome that situation. Your batteries are fully drained when you come through a close competition,” Bindra revealed.